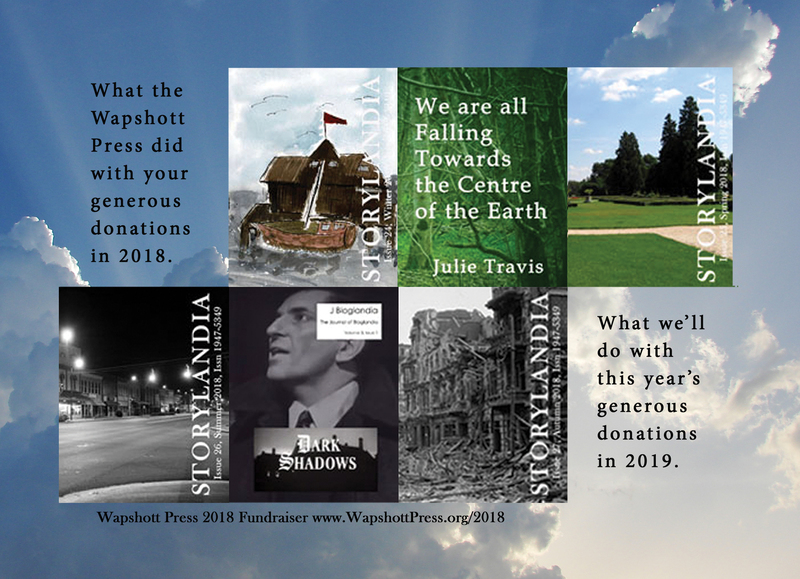 Wapshott Press 2018 Fundraiser for Storylandia and Poetrylandia fiction and poetry collections. Please be generous; we need you. Thank you.